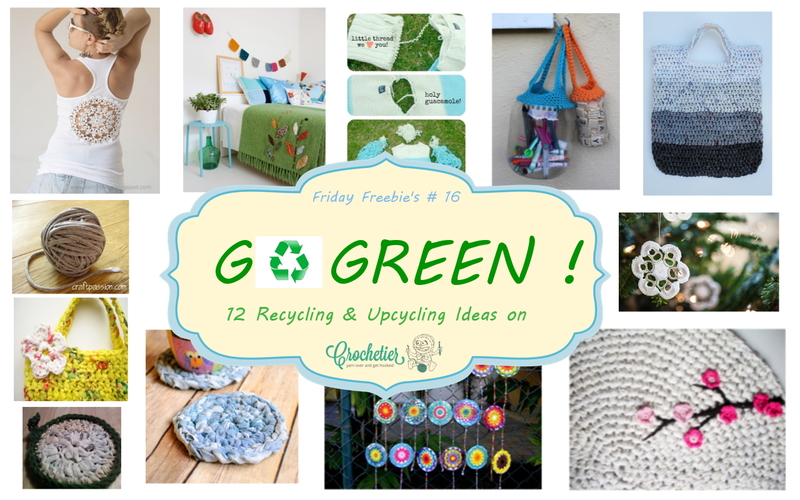 Friday Freebie’s #16 Go Green! Recycling sometimes seems hard to do – but with this 12 free recycling and upcycling ideas you can do something good for our world easily! According to Wikipedia Recycling is a process to change materials into new products to prevent waste of potentially useful materials […]. 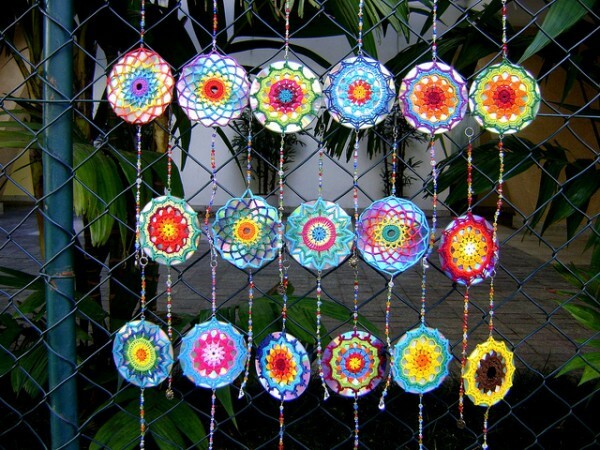 Like making yarn out of old t-shirts to crochet a rug or a coaster. Upcycling is the process of converting waste materials or useless products into new materials or products of better quality or for better environmental value. Like those beautiful pull tab flowers ! Simply click on the name of the pattern to get linked to it! 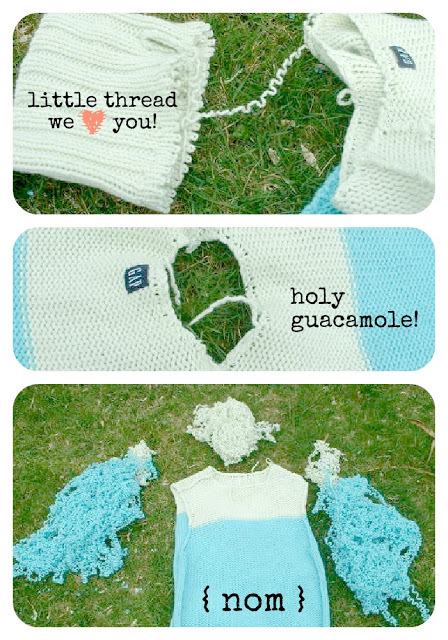 Upcycle old vintage crochet into a beautiful and unique tank top! Alternatively you can crochet mandalas or anything you’d like with a round or oval shape to pimp your tops! 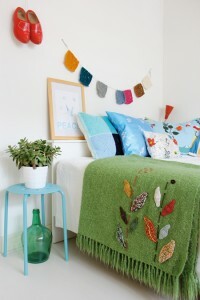 Turn old blankets into new ones with this tutorial! Great and very detailed tutorial on how to unravel an old sweater to get some yarn you can reuse! Wonderful idea to upcycle old containers into cute and useful storage or even necklaces! 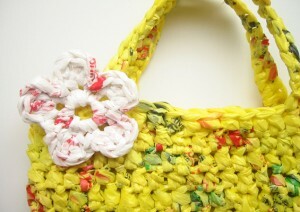 Make yarn out of old plastic bags! 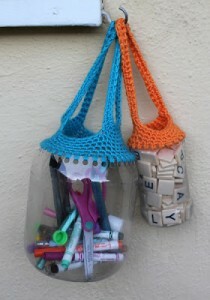 Wonderful website with lots of ideas to work with plarn yarn and lots of patterns for recycled bags. 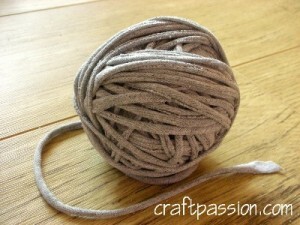 Detailed phototutorial on how to make yarn out of old tshirts. Also great tutorial to get yarn/plarn for the pattern nr. 5, 7, 8, 9 and 11!! Crocheting with plastic yarn, or “plarn,” is a fun way to repurpose plastic bags and create a reusable alternative that is durable and even recyclable! 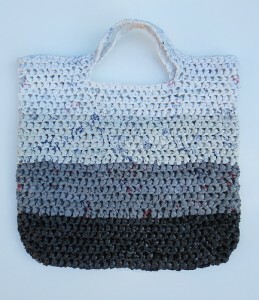 This sweet tote is a great project for beginning and experienced crocheters alike. 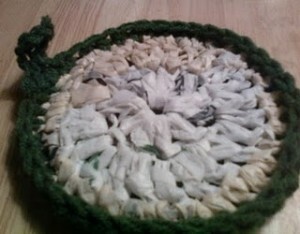 This is a different kind of pot scrubber as it used not only yarn, but also plarn. It will help get your dishes nice and sparkly with this free crochet pattern. Half double crochet and double crochet is used. 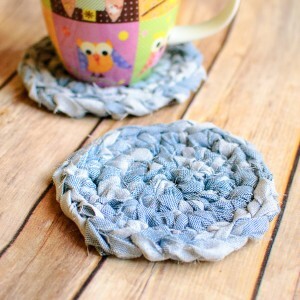 Cute little coaster made out of fabric! 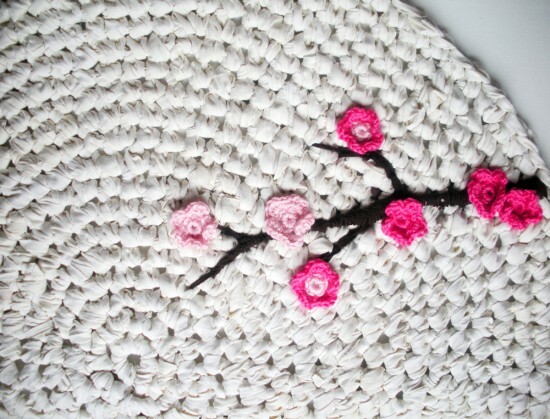 Step by Step tutorial on how to use fabric to a crochet rug. 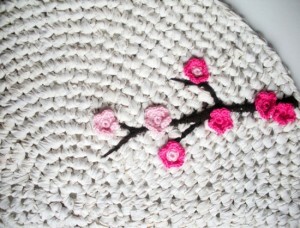 Step by Step tutorial with photos on how to crochet a flower with pull tabs. 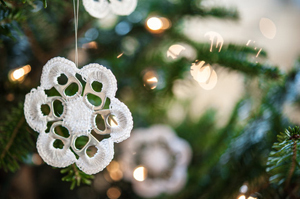 Makes cute ornaments for windows, dorrs or even your christmas tree! 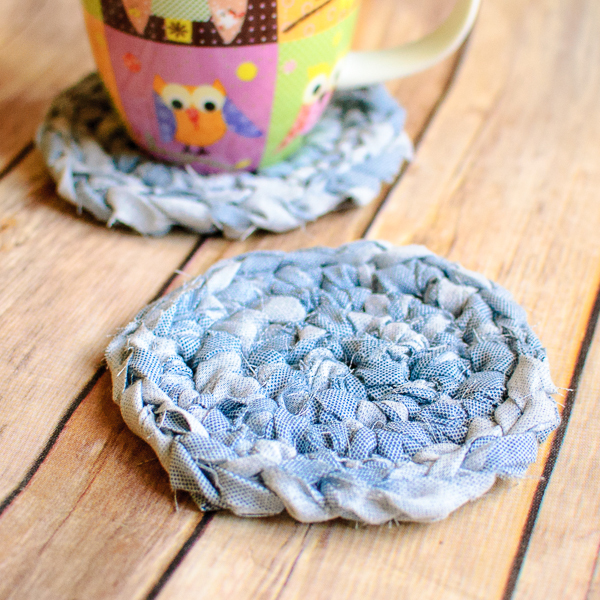 I hope you enjoyed this free pattern round up!